This is the MINI version of the regular Color Outside the Lines pattern. It goes together quickly, and is both 1.5" precut and scrap friendly. 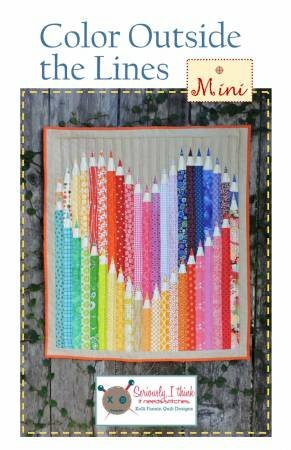 Great for a cute walll hanging, teacher gift, and could easily turn into a baby quilt by adding borders. Would make a great class!